You're one step away from losing excess fat and running faster without getting injured! Unlock the hidden fit and healthy runner inside you in just the next few weeks. A Transformation Journey Quick Start Workbook PDF to quide your training. Video lessons to transform you to a Lean, Fat Burning, Aerobically efficient runner. 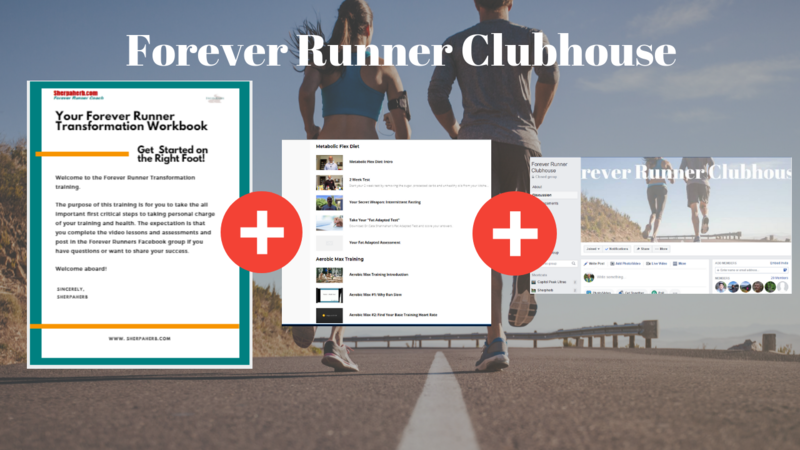 A private Clubhouse Member's Facebook Community of fellow runners on the same journey to ask questions and share success. Instant Access: After clicking Checkout, within minutes, you'll receive an email with your login credentials, and a link to the Clubhouse Member's area. Ready to Go: You'll be able to start viewing the video modules immediately, on any device, including mobile!